ISS astronaut demonstrating 3D printing, 2014. 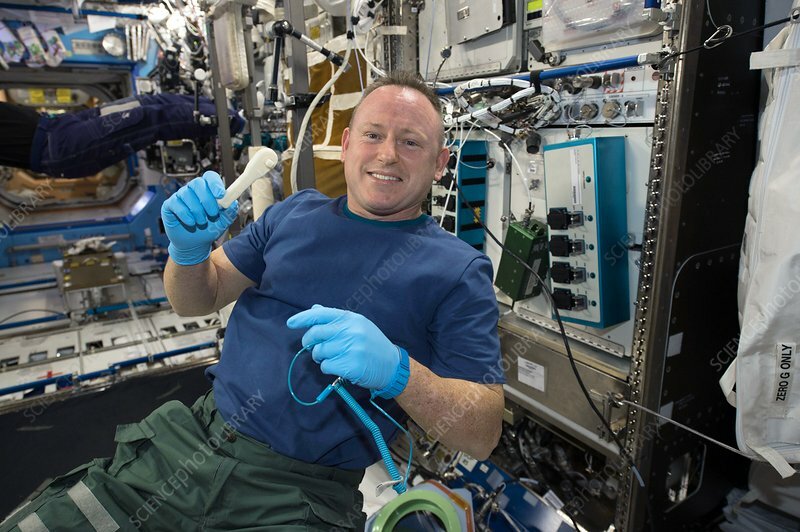 US astronaut Barry Eugene 'Butch' Wilmore (born 1962) holding a 3D printed ratchet wrench from the new 3D printer aboard the International Space Station (ISS). This printer completed the first phase of a NASA technology demonstration by printing a tool with a design file that was transmitted from the ground to the printer. Photographed on 16 December 2014.